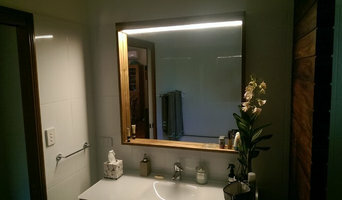 Distinction Joinery is a locally operated Far North Queensland business specialising in Commercial and Residential (new and refurbishments) custom made joinery. Distinction can design, manufacturer and install your entire house or office fit out to meet any specific requirements. Our cabinetry is completely custom made, and manufactured in Cairns, Queensland making the lead time on projects efficient. We offer top calibre designs using the latest technology and machinery. From bespoke kitchen cabinetry, bathroom vanities, and entertainment units, to entire commercial buildings, each project is carefully considered and beautifully crafted. We will come to you and provide a complete service. If you currently have a design you wish to use, we will be happy to build this for you. Alternately, we can measure and design one or several options for you to choose from. 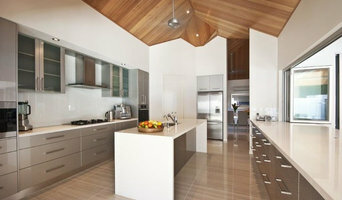 M & R Kitchens specialise in building Award Winning Kitchens and Joinery for your new Home or Commercial Project. Our Qualified HIA NKBA Certified Designers will provide you with their wealth of professional knowledge in design and planning ensuring your joinery is of the highest standard and is functional and practical. Bespoke furniture, carpentry and joinery. Furniture design. Specializing in Australian hardwoods and reclaimed timbers. 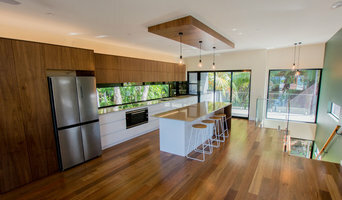 Kitchens by CCJS have been in business for over 20 years in Cairns and Far North Queensland specializing in custom designed joinery in domestic and commercial areas. Our highly experienced team of designers, planners and builders custom design all of our joinery to suit the customer’s needs – this means you’re getting a personalized experience every time. Our showroom is located centrally in Muir Street, Bungalow and can provide you samples and further information about all of our products and services that we offer. Joinery and cabinet makers are mostly known for their work in kitchens and bathrooms, but their skill set goes much further than that. It is important to understand the difference between carpenters and cabinet makers, which lies in the detail of work. Carpenters tend to work on larger structural projects and this is why many become builders, whereas cabinet makers are masters when it comes to the finer detail. So if you’re looking for detailed woodwork like custom-made furniture for your living room or smart storage solutions, you’ll be sure to find a Cairns, Queensland cabinetry expert in the Houzz directory of professionals. What Do Cairns, Queensland Joinery and Cabinet Makers Do? If you know what you want and are ready to take the next step, scroll through this page to find joinery and cabinet makers in Cairns, Queensland. As mentioned, you can browse their latest projects, read reviews and see how other homeowners rate their work, and message them directly. You can also look through Photos to find examples of joinery you like, then contact the professional who worked on them.